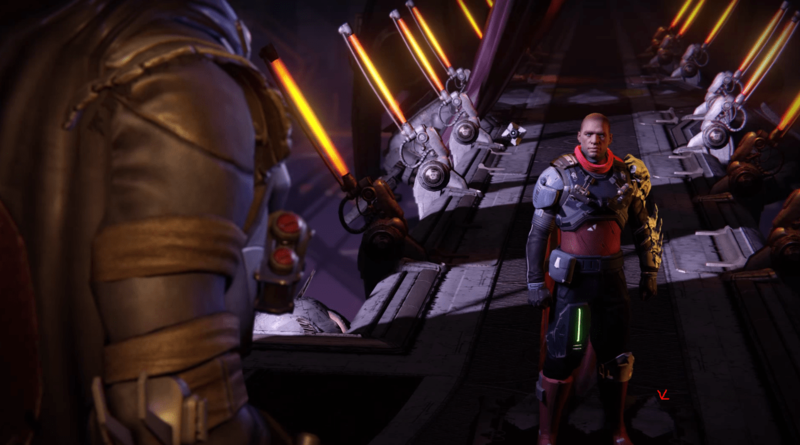 The Reef, in the Asteroid Belt, isn’t a place often discussed by Bungie. The Collapse, caused by the Darkness, left The Reef to deteriorate in the way that it has. We know it’s now shattered and torn apart, filled with debris from ships and ruined structures. This may be another small third-person space, similar to the tower, a sort of social hub. 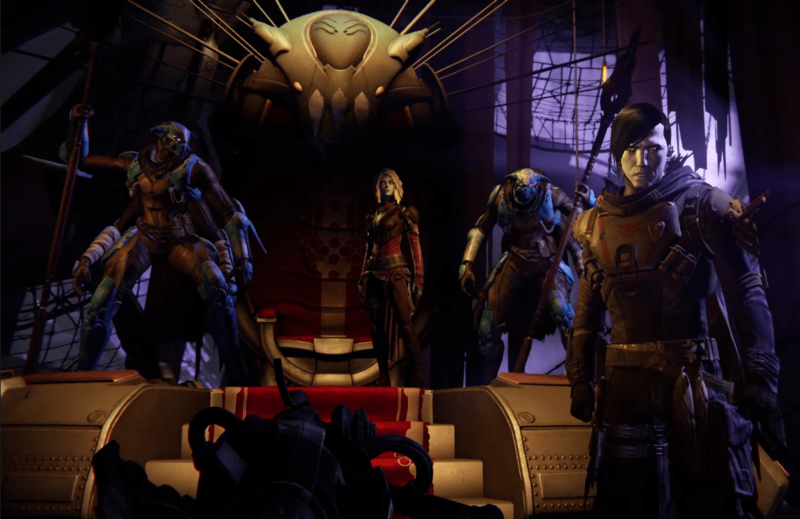 The Reef is home to the Awoken, who fled there after the Collapse. 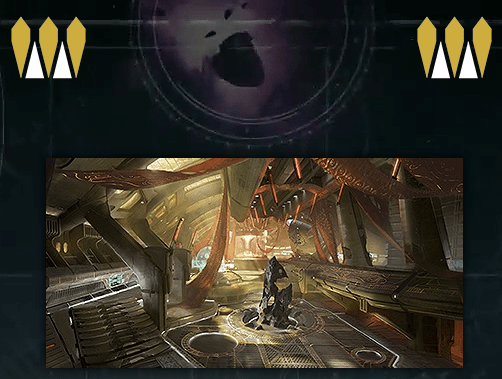 It’s been speculated that Humans fled there during the Collapse, and the Darkness is responsible for ‘creating’ the Awoken. 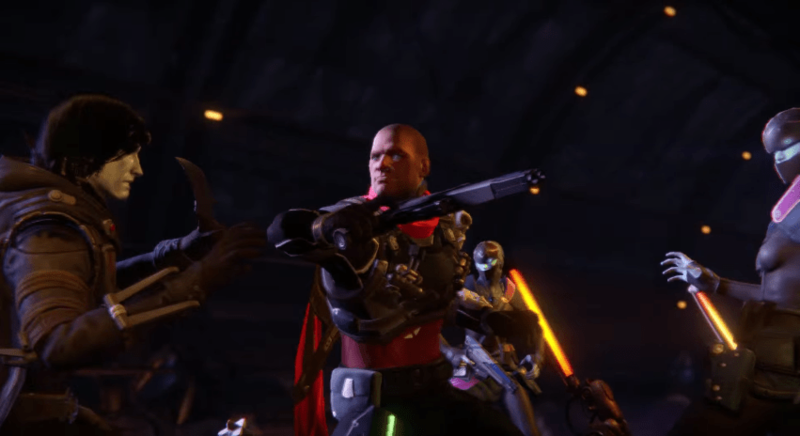 According to the Awoken’s Grimoire card, Earth-born Awoken who visit the Reef will receive no warm welcomes. 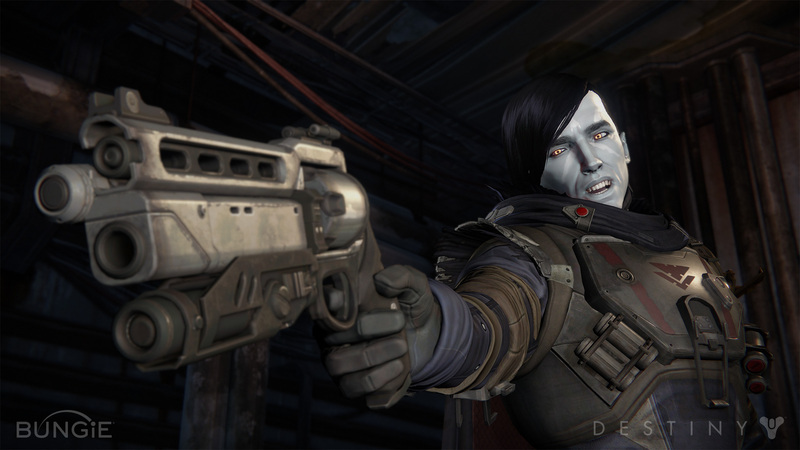 It is said that the Awoken were born in the Collapse, descended from those who tried to flee its wrath. Something happened to them out on the edge of the deep black, and they were forever changed. Today many Awoken live in the distant Reef, aloof and mysterious. 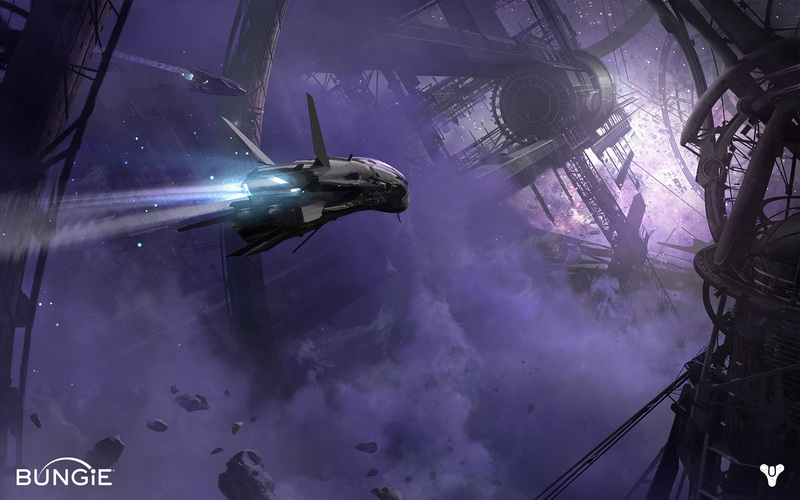 But others returned to Earth, where their descendants now fight for the City. Earthborn Awoken sometimes venture out to the Reef, hoping to learn its secrets – but find no special welcome from the reclusive Queen. 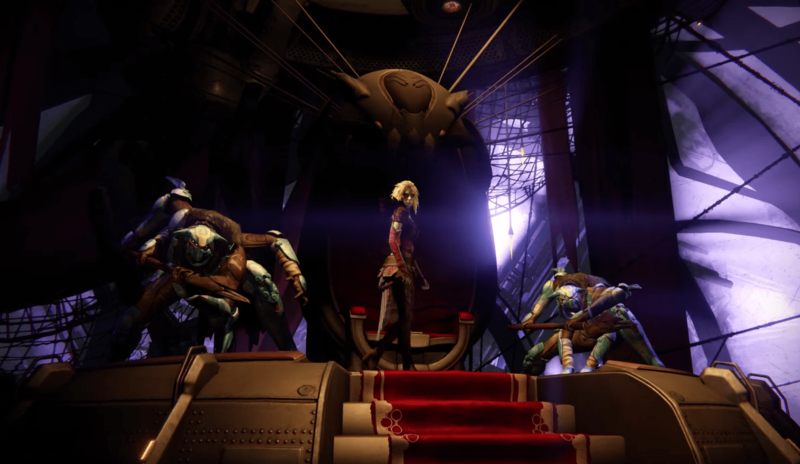 The Reef is controlled by an Awoken female: the Queen of The Reef (assumed to be voiced by Jen Taylor). She is known to give out bounties to the player, and her Emissary is a vendor that has gear and weapons for sale. The Queen desires the elimination of specific targets across the solar system, and you’ll be rewarded for doing so. The Queen of the Awoken is as much an enigma as the Reef she rules. 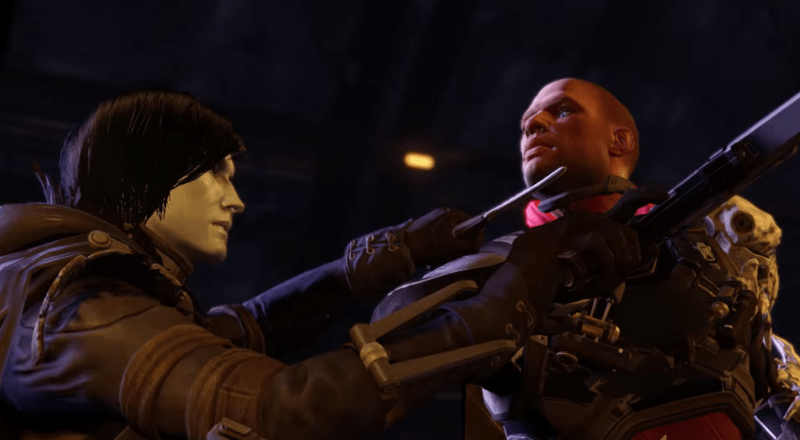 It is said that she won her crown through ruthlessness, and that she stands as master of the Fallen House of Wolves in place of their defeated Kell. The City’s rise spells an end to the Reef’s age of isolation. The Queen will surely look to this new era as an opportunity. And the City, in turn, must look to her. The Reefborn Awoken have spent long ages out on the edge of everything, and they may know secrets of terrible weight – the Queen most of all. The Queen of the Reef has many enemies. Accept her kill orders to settle old scores and earn her favor. I will not sacrifice my birthright for the promise of security. As the Queen’s confidant, spymaster, and deadliest enforcer, her brother wields enormous power, particularly for a male born in the Reef’s matriarchal society. Recent reports suggest he may differ from the Queen on key matters of strategy – but it remains to be seen whether this gap is a source of conflict, or part of the reason the Queen values him so highly. The Queen rewards those who take up her cause, and take down her enemies. Like Xûr, Agent of the Nine, the Queen’s Emissary is a mysterious vendor with the look of an assassin, who we don’t know much about. For now all we know is that the Emissary is a protector of the Queen, and will sell us “Queen’s Wrath” styled items. Queen’s Wrath appears to be the Queen’s/Emissary’s faction. To complete the Warrior of the Reef bounty, we’ll need to equip some of gear that the vendor sells. This is the symbol for the Queen’s crown – The Crown of the Sovereign, which we can see in the images above, as well as on some armor. Talk about this and a whole lot more at our community forums!